The Parade opened in February 1921, and sat 1426. It closed in 1961, and was used for bingo for several years. 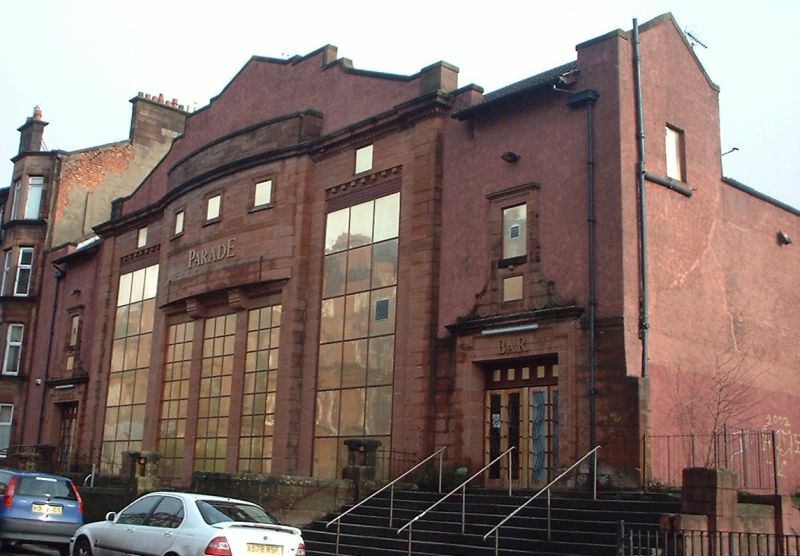 In 1969 it reopened as cinema, called the New Parade, and ran as such until closure in 1986. The cinema was derelict until 1993 when it was altered to become a pub. Most of the auditorium has been demolished, though the facade and foyer areas remain. As of 2007, the pub has closed, and the future of the building is uncertain. Photo of it in 1975 here, courtesy of Norrie Mcnamee, and one here in 1980 courtesy Chris Doak. Images below from 1984, including then manager Jack Brown, courtesy of the Scottish Screen Archive at the National Library of Scotland.